This atarah adds lots of shine to the standard tallit. 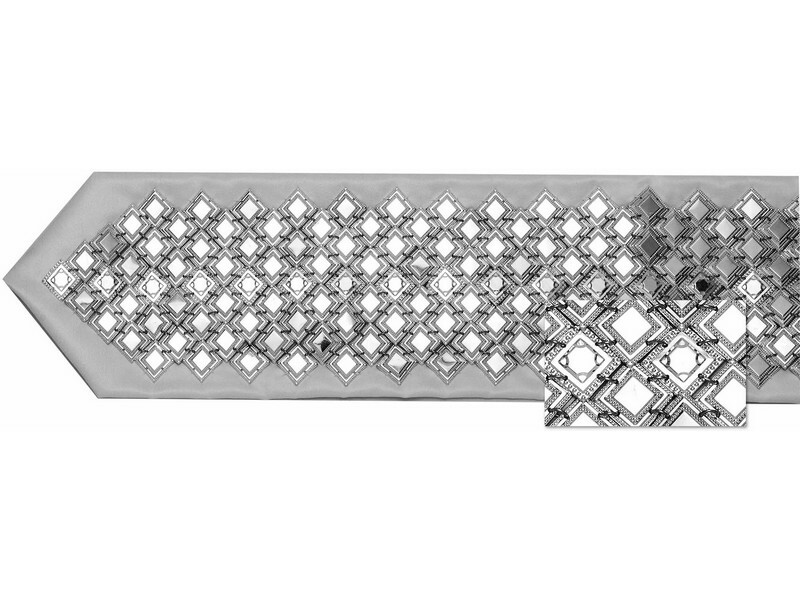 The atarah is comprised of square shaped sterling .925 silver boxes arranged in diagonal pattern, creating a diamond-shape. Every box is masterfully designed with a border and a flat-topped glossy center. Each square is linked separately, enabling the atarah to easily adjust to the fit of the wearer’s head and body even when moving around, as well as making folding neat and easy. This atarah has a choice of 3,4,5,6 or 7 rows. The length of each row is approximately 40 inches. PLEASE NOTE: Due to the unique layout of the boxes, the choice of rows selected is considered according to the vertical column with the greater amount boxes.